The last time we featured this, the print sold out at BHS online pretty much straight away. 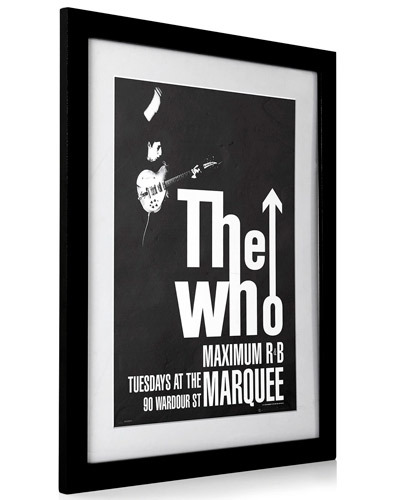 So if you missed out, don’t delay in getting The Who Maximum R&B at the Marquee framed print right now. Yes, amazingly the print is available fully framed at BHS of all places. 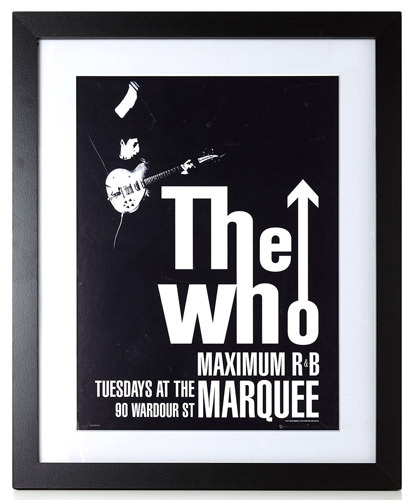 The image is, of course, the one used to promote The Who’s residency at The Marquee in 1964, which is well worth a space on your wall. But the fact that this is sold fully framed is perhaps where the real value is. Sized at 40cm x 50cm in that MDF black frame, it sells for a very affordable £22 while stocks last.